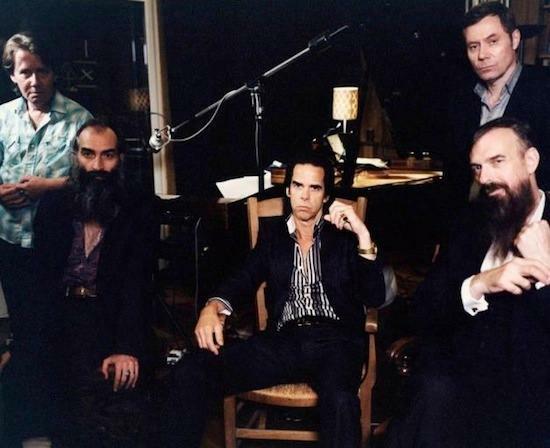 How about this for a competition prize: next Friday, Nick Cave & The Bad Seeds will be holding a rehearsal for their forthcoming series of intimate gigs. What’ll happen? Will they have their suits on? How long is Jim’s beard? Will there be old songs? Two of you will be able to find out! We’ve got a pair of tickets to the Push The Sky Away rehearsal, which takes place in Brighton next Friday, February 8th. We can’t tell you the venue for now, but you’ll need to be able to get to the south coast resort for the evening of the gig. To be in with a chance to win, please email the answer to the following question to comps@thequietus.com with Bad Seeds in the subject box, and make sure you give your contact details. Push The Sky Away is released on February 18th. via The Quietus | News | WIN! Be At A Bad Seeds Rehearsal!. Previousdance, dance, dance, dance, dance to the radio….